While a credit card can be a great way to finance purchases, there are certain costs and benefits you must consider before you decide which one is best suited to you. The credit card has evolved into something much more than a financial product offering short-term credit facilities in your pocket. Choosing the right card and using it wisely can actually help you save a lot of money. 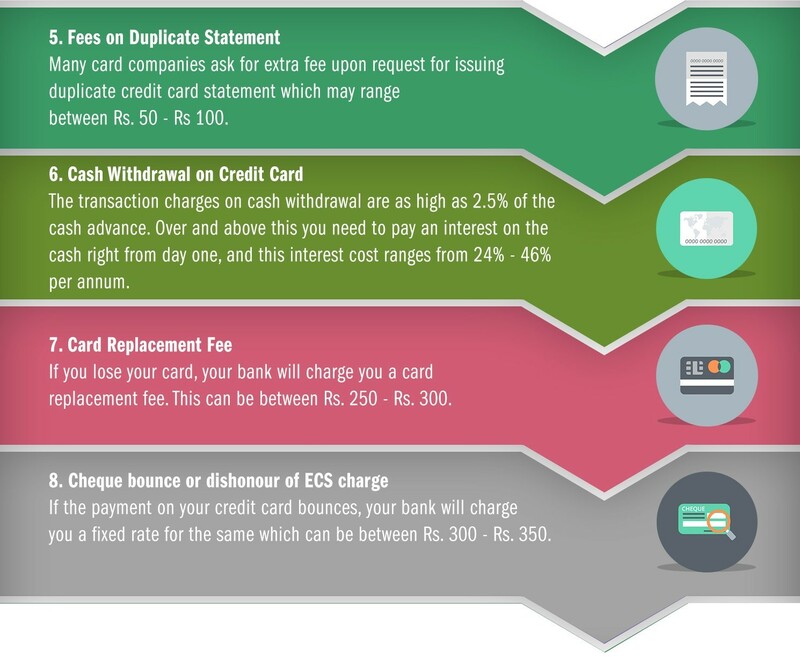 Hence, it is important to look beyond traditional factors and consider the following points when choosing a credit card. As you may know, clearing the total balance owed on the card by the due date will mean you will never have to pay any interest. However, for those of us who are unable to clear the balance in time, the APR or the Annual Percentage Rate is the rate at which the credit card issuer will charge interest on the outstanding amount. If you intend to carry the balance without repaying it in full, the APR becomes very important because it will determine your interest burden. Generally, issuers charge an annual rate between 25% and 40%. However, rates can vary depending on your income, credit score, and the policies of the credit card issuer. In some cases, interest rates are lower in the beginning and increase as the debt remains outstanding for a long period of time. A card with a lower APR is always preferable because the interest cost on such a card will be lower. Your credit limit is the maximum amount up to which you can use the card without paying an over-limit fee. This is normally determined on the basis of your annual income, your credit score, and other financial assets that you may own. The bank where you have your salary or business account or a fixed deposit may offer a higher limit. Instead of randomly choosing a card that offers the highest limit, analyze interest rates, fees, and other charges before taking a final decision. Paying 1%-2% additional interest for a higher limit that you are never going to utilize will be an unnecessary waste of money. 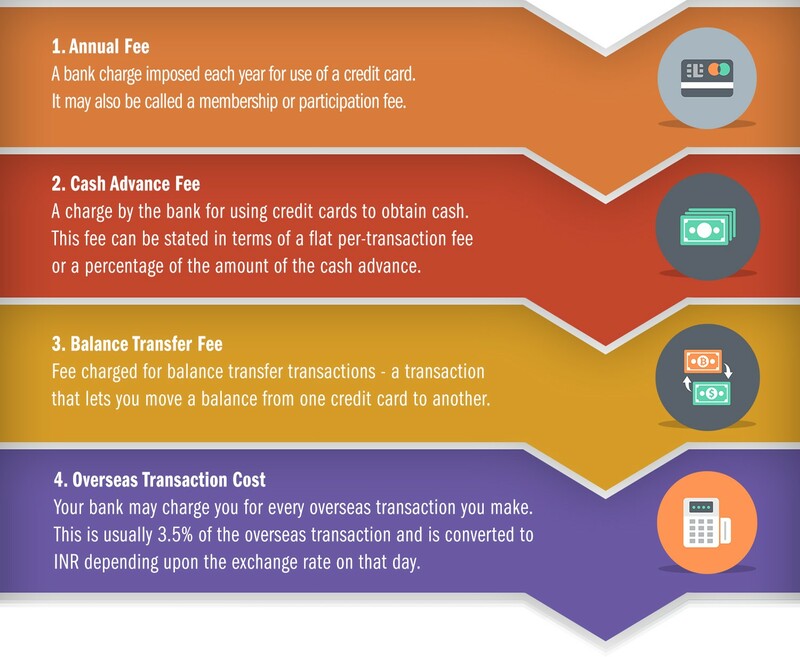 There are many other fees and charges that can contribute to the overall cost of the ownership of the card, knowing about which can help you gain a better understanding of the overall cost of owning and using the card. Almost all credit cards offer rewards programs where usage of the card helps you earn points that can be redeemed for free products or services. Fuel rewards card will help you accumulate points that can be redeemed against free fuel. Or, points can be used to obtain discounts on air tickets, your monthly grocery bill, e-shopping purchases, or even in the form of cash back credited to your card account. Study the rewards scheme carefully because this benefit, if used wisely, can prove to be very beneficial. You can avoid paying interest on the card by using it just for your routine expenses and transferring your salary or monthly income to clear the outstanding balance before the due date. You shall continue to earn points month after month and can end up getting freebies and goodies without spending even a single rupee out of your pocket. However, do keep in mind that some banks might charge a fee for redemption of reward points. Are you transferring an existing credit card balance to a new card? Then, you must choose a card that offers an attractive balance transfer scheme with zero or negligible interest on the balance amount transferred. Instead of paying high interest charges, the balance transfer can help you bring down your debt without putting additional strain on your finances. If you plan on using the card to buy household appliances and other products, then choose a card with an attractive EMI scheme. Transactions exceeding the minimum limit can be converted into EMI loans for full repayment within a specific period of time. Non-EMI transactions can run longer and may cost more in terms of interest and late fees. The EMI feature will be particularly useful if you plan to use the card for business purposes or for expensive purchases frequently. Finally, choose a card that helps you get additional discounts from online and offline stores. Travel sites and online shopping sites often come up with schemes offering additional discounts or benefits to users of specific credit cards. Analyze this point and choose a card that help you qualify for additional savings over and above existing reward schemes.